She Likes It II Is a purpose built, well equipped, fast and spacious charter fishing boat. 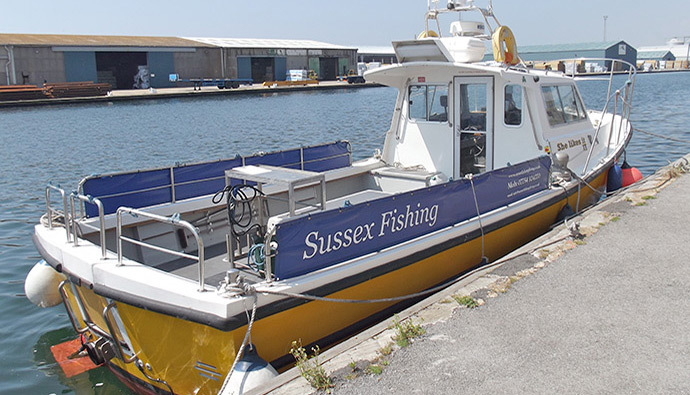 The boat is based in Shoreham Harbour near Brighton and is designed and built for deep sea fishing charters and boat trips. Mark Vale is the Skipper and owner of Sussex Fishing. You will find Mark is a friendly helpful chap who always works hard to find the fish. He makes you feel very welcome aboard. Mark is a very keen angler who will usually fish along side you if there is room to spare. 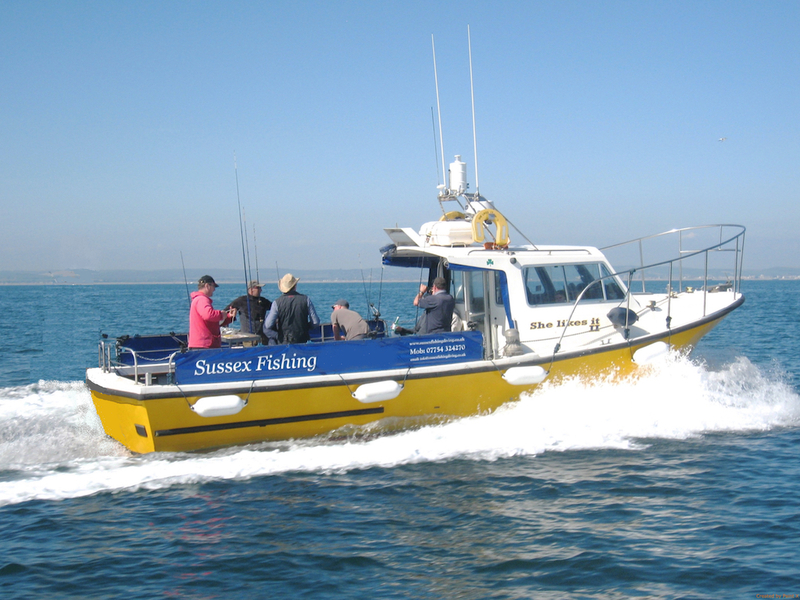 Mark is experienced in deep sea fishing trips and can transport you to any of the hundreds of shipwrecks or reef and ground fishing marks that are available all along the Sussex Coast. Wreck fishing is particularly popular due to the sheer number of wrecks in the English Channel. There is also a huge number of reef and ground fishing marks to visit. Other specialities include Bass fishing trips and Turbot fishing. She Likes It II is a late model OFFSHORE 105. She is 35 feet in length (10.5m) and powered by a single Cummins QSC 8.3 litre Turbocharged diesel engine, rated at 490HP. This gives her a top speed of 22 knots and a cruising speed of 14 – 17 knots fully loaded. 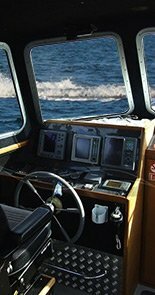 Fully equipped, licensed and insured with all necessary safety equipment specified by the Maritime and Coastguard Agency ( MCA ). She is licensed as Category 2 Charter Boat, with a permitted range of 60 miles from any port in the English Channel. The maximum compliment is 12 persons. 10 passengers and 2 crew. She is also fitted with a modern electronics package including GPS / Plotter navigation, sonar, radar, VHF and AIS (Automatic Identification System). Caters extremely well for anglers and is a stable platform to fish from. There is seating in the wheelhouse and covered seating just outside the wheelhouse. For your convenience up forward there is a flushing toilet. Mark makes copious amounts of tea and coffee. Soup, hot chocolate or squash is also available. All of these beverages are supplied free of charge. Although you bring your own food along, If you want to warm something up, I have a marine cooker on board with an oven. Seating in the wheelhouse for 4 – 5 people. Free tea, coffee and other drinks supplied. Oven. I can heat up your food if required.